Sabre never had any intentions of becoming the teacher’s pet. In fact, most of his school years have been spent trying to avoid attention. The scar that mars his cheek has made him wary of strangers, their questions and prying eyes leave him feeling exposed in ways he’s uncomfortable with. Accustomed to blending in, he lurks around the shadows in the back of classrooms, turning in exemplary work but rarely taking part in discussions. Professor Locklear’s Native lit class is different though. 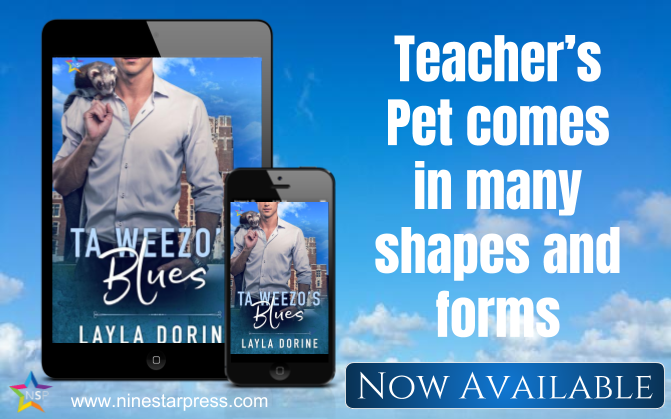 Sabre’s interest in the subject matter, coupled with a dedicated scholar’s need to turn in the best work possible, leads him to seek out a more advanced reading list, much to the delight of Professor Locklear. When he comes across Sabre reading material beyond even the advanced list, Professor Locklear invites him on a field trip to a nearby village. Along the way he learns more than just the knowledge contained in the books. He learns about trust and discovers that there are others out there just like him— shapeshifters. Sabre took off before he heard the rest, sprinting up the curry-scented hall, the stench making him gag. Bursting through the outer door, the fall air hit him like a gut punch, carrying with it the scent of dying leaves. He gagged, bile rising in his throat. Skidding to a halt beside a bush, he vomited, grateful nothing but acid remained in his stomach. By the time he finished, he’d broken out in a cold sweat and felt gross and tired, wanting nothing more than to get back to his dorm room and take a long, hot, shower and climb into bed with a movie. Glancing at the slightly crumpled list he gripped in his fist, Sabre sighed before smoothing it against his thigh, folding it carefully, and tucking it into the pocket of his hoodie. Shoulders slumped, he turned and trudged back toward his dorm, grateful the day was at an end. All in all, it had been both a success and a disaster. Next time, he’d just email his request, he decided, as a cold wind made him shiver and debate what the hell he’d been thinking, going to see his professor in person. She writes about artists, musicians, loners, drifters, dreamers, hippies, bikers, truckers, hunters and all the other folks that she’s met and fallen in love with over the years. Sometimes she writes urban romance and sometimes its aliens crash landing near a roadside bar. When she isn’t writing, or wandering somewhere outdoors, she can often be found curled up with a good book and a kitty on her lap.